At Rite Rate, we are a fully licensed and bonded plumbing, heating, and air conditioning company in Ringwood, NJ. We do it all including repairs, installations, replacements, and scheduled maintenance. In the event you need immediate service, we offer 24/7 emergency plumbing, cooling, and heating repair in Ringwood, NJ. Rite Rate is always here for you with reliable plumbers and HVAC technicians standing by. Our team of experts is licensed and experienced in all residential and commercial plumbing, heating, and air conditioning systems. You can trust that your home or business is in good hands with Rite Rate Heating & Cooling! When you need a new furnace, boiler, radiator or hot water heater, call Rite Rate heating company in Ringwood, NJ! We offer affordable heating installations for commercial and residential heaters. We’re adept at installing new heaters and replacing your old one. If your heater isn’t working or doesn’t turn on, you need our heating repair in Ringwood, NJ! Our technicians can diagnose any heater and determine if it needs repairs or a heater replacement. Rite Rate has expert plumbers to handle all your repairs, replacements, and installations. We can install and repair toilets, sinks, drains, faucets, showers, and bathtubs as well as the main sewer line. There’s no clog or broken pipe and drain we can’t fix or replace. If you have a plumbing problem during odd hours, contact us for 24/7 emergency plumbing repair! We’ll arrive quickly and repair whatever the problem is in a timely and efficient manner. As the preferred air conditioning company in Ringwood, NJ, Rite Rate offers the best air conditioning services. We can repair and install any make or model of residential and commercial air conditioners. Our technicians can service central air conditioners, heat pumps, ductless air conditioners, packaged air, and much more! 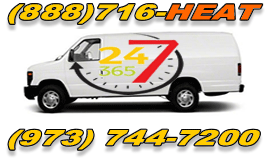 No matter the time of day, we’re here for 24hr air conditioning repair and replacement. When repairs aren’t working, we can inspect the AC and determine if the unit or its parts need to be replaced. Rely on Rite Rate as your trusted plumbing, air conditioning, and heating company in Ringwood, NJ! We guarantee 100% customer satisfaction!